Filtered or unfiltered, which is superior? Just as the question of which evoo is better, there isn’t one. People, you have to be cautious in your choices when including this difference. There are however two points to clarify. Filtered extraction would grant you a clean subtle liquid that would definitely last to its given expiration. 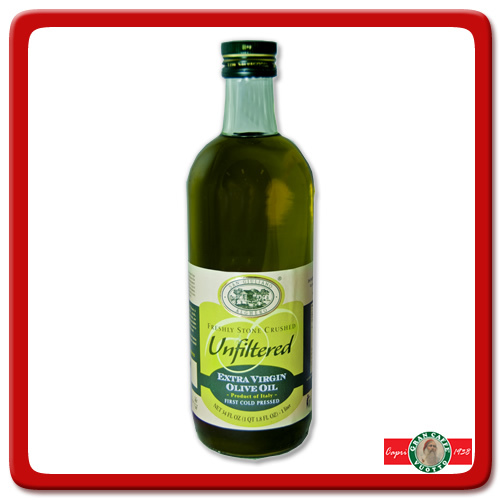 Due to it’s longer shelf life, most Americans and importers prefer filtered to unfiltered, which is the reason we are all accustomed to the “clear” olive oils. 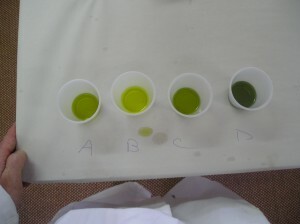 Inversely, an evoo that has gone through the extraction without a filter are somewhat unique. Without the filter, the end results are residues of the olives bottled together. To this effect, if you shine the bottle through a light, you would see that the bottle is vaguely dense, cloudiness if you prefer. This encompasses both worlds of good and the bad. The often denoted “better” flavors accompanied by unfiltered oil are only present when just pressed and used right away. Consequently if it is not frequently used, after a short few weeks from being pressed, the residue or sediment builds up at the bottom and acts more of a deterrent agent in breaking down the healthful and delicious attributes of a fine young oil unequivocally spoiling the oil. So the choice once again is left to you the consumer, daily abundant usage may certify the unfiltered blend, but the typical cooks we are, the filtered more than suffices. Does the color truly define quality? This is actually a fraction of representation to the sort of olive(s) used and when it was harvested. Typically, we’d probably find more golden pigmented oils in most of our grocery stores. You may also find one in a darker shade, like (emerald) green. The color variations have been described by many in numerous ways than one. Two of the more sought out explanation is given by the theory of freshness, to harvest timing. Fresh being green, and early harvest as well being green. Neither of which is always the case, thus the inconsistency in the logic department. But some may even argue that the green is offset by high levels of chlorophyll, the same compound that transforms the perfect young oil to taste rancid when not properly stored well. 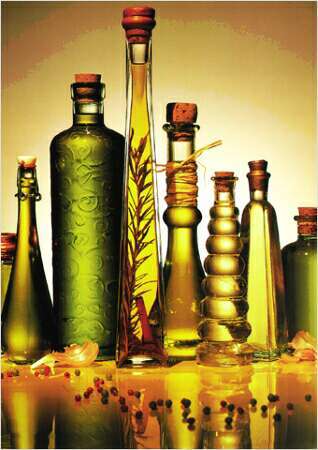 Therefore, though uncertainty of the facts, one could only speculate that the greener oils are much likely to go bad quicker if not properly cared than the golden varieties. In other words, the greener evoo is higher in maintenance. The perfect answer is in fact overlooked by the vast majority; the color is given off by its specific olive(s). A knowledgeable farmer would indefinitely tell you in great depths that the color is given by the drupe of the olives, and not by the chemical characteristics mentioned above. Claims of high concentration of chlorophyll in fact is a faulty oil. Chlorophyll is present when several leaves are pressed together with the olives. Without further explanation we all know anything “mixed” does not bode well to a 100% product, falsifying marketing, and even resulting in people like us to be more indecisive and cautious of how we pick our products. With this bit of fact it adds on to the list of impossible ways of picking out our best evoo, but at least this should clarify the differences in colors.